It's easy to feel overwhelmed when you have multiple debts and no plan to pay them off. Accessing and using credit is incredibly easy. When one credit card gets maxed out, another one always seems to be available. If you just maintain minimum payments, it could take 30 years to get out of multiple debts. Long-term debt can cripple your cash flow with high monthly loan repayments. You'll end up paying thousands in interest while struggling to pay down the principle on the loans or credit cards. The average American adult has $4,717 in credit card debt. The average credit card interest rate (APR) is 15%. If the minimum payment of $189 was made every month, it would take 10 years and one month to erase just that debt. The total payments for the original $4,717 loan would be $22,869 because of interest. If you're starting to swim in debt, you need to act now to come up with a plan to pay it off. Fortunately, there are multiple options and strategies for creating and sticking to a debt repayment plan. You can empower yourself to become debt-free sooner by looking over these strategies and picking the one suitable for your situation. As your debt situation gets more serious, the options change. For instance, if you've failed–on your own–to succeed at a debt repayment plan in the past, some additional support might be required in the form of a credit counselor. It's ok to ask for help when you need it. No matter how you feel, if you're starting to see the early signs you might be heading towards bankruptcy, it's time to act. Before you consider taking out more credit to pay for your existing debt (for example, a debt consolidation loan like a home equity loan), see if you can pay it off with the income you already have. Take control of your debt by choosing one of the debt repayment planning options recommended by the experts. You can't create a debt repayment plan without knowing exactly what debt you are planning to repay. Get a grip. Grasping what you owe and what you're being charged is the first step. You might not fully appreciate how much you are in debt until you see it all listed in one place. The data you collect about your debts will be important for calculating precise goals, timelines, and repayment schedules. Take an inventory of your credit card balances, medical bills, student and personal loans, and any other form of unsecured debt you're paying off. Unsecured debt is debt not guaranteed by an asset like your house or a car. Then identify the interest rates you're paying on each debt. You should also collect information like the minimum monthly payment on each debt. Rank your debts from smallest to largest. For one list, start with the lowest balance first and list down to the highest balance. Compare the interest rates. For the second list, start with the debt that has the highest rate of interest, and list down to the lowest interest rate. Let's take a situation where four debts need to be repaid, as an example. One is a credit card with a balance of $5,000 and an APR of 17.99%. The second is a student loan with a balance of $10,000 and an interest rate of 4%. Third is another credit card with a balance of $3,000 and an APR of 15.99%. And fourth is a car loan with a balance of $8,000 and an APR of 3.5%. How your debts rank depends on what we're looking at. The list order will change depending on what criteria you rank them by. If you're ranking lowest balance first to highest balance, the $3,000 credit card is on top and the $10,000 student loan is ranked at the bottom. When you're ranking the debts from the highest rate of interest down to the lowest interest rate, the $5,000 credit card account at 17.99% is first and the car loan being charged 3.5% is last. Keep your lists handy, you're going to need them. These rankings are going to be important when we start calculating different repayment plan options. Looking at your existing budget when you're about to create a debt repayment plan is vital. Where does all the money go? Calculating where your money goes each month gives you a grasp of what you spend on right now. Get real about your spending. Your current spending behavior is what got you into debt in the first place. It's important to get an honest understanding of how you spend your money. Creating a new budget focused on repaying debt will involve changing your existing habits. There are three steps you need to follow to accurately calculate your current monthly budget. 1. How much is coming in? First, list all your sources of income for an average month. Include your salary, government benefits, rental property income, and any other revenue you generate on a monthly basis. 2. Add up all the regular bills. Second, itemize your monthly expenses. Include monthly bills such as rent, insurance premiums, utility bills, and property taxes. 3. Don't forget the debts. Third, include the normal monthly payments you currently submit for each of our debts. Figure out what you spend. 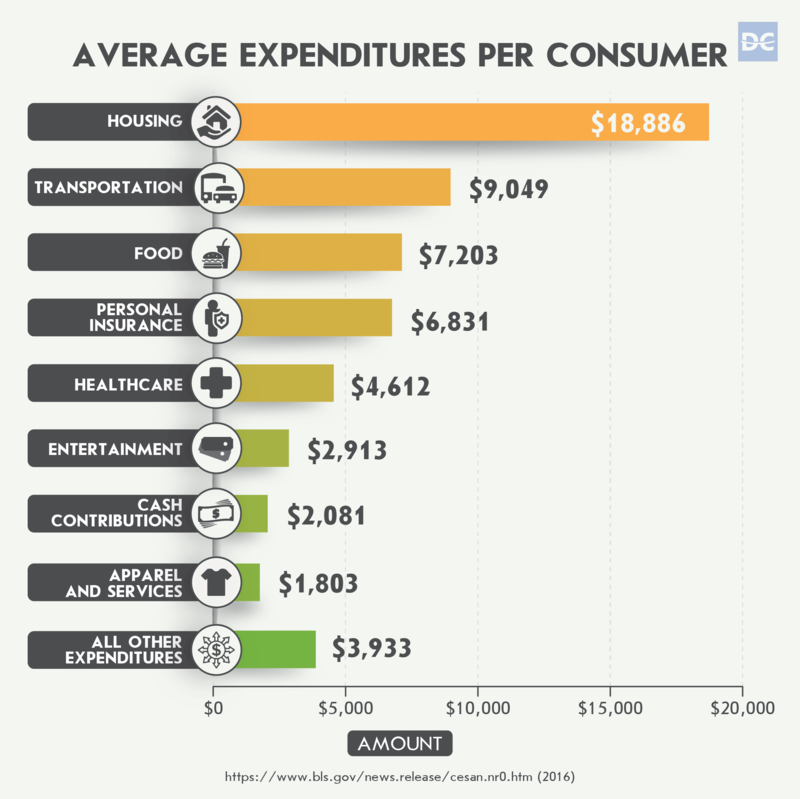 Also include average personal monthly expenses such as groceries, gas, alcohol, entertainment, transportation, and any other common expenditure. Prepare to have your eyes opened. Adding up your income and comparing it to your expenses will likely be an eye-opening experience. 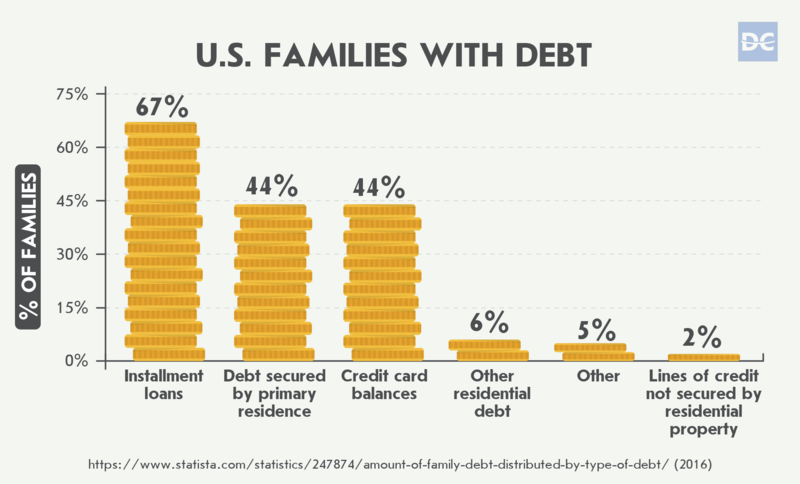 Debt starts to pile up in multiple forms when there isn't enough income to meet the monthly expenses. You can't borrow your way out of it. When a personal budget deficit becomes a regular occurrence, often the impulse is to borrow to make up for it. The reality is, somewhere down the road it's going to have to be repaid, probably with interest. Let's say you're a single person bringing in a respectable $4,000 in income a month. Some living expenses you can't avoid. For your expenses, $2,000 a month goes to rent and utilities. $200 goes to cell phone and internet bills. Every month you spend $200 on gas. The fun stuff costs. You also spend $250 per month eating at restaurants and take-out, $200 a month on beer and wine, and $150 on entertainment. Paying the minimum on debts. 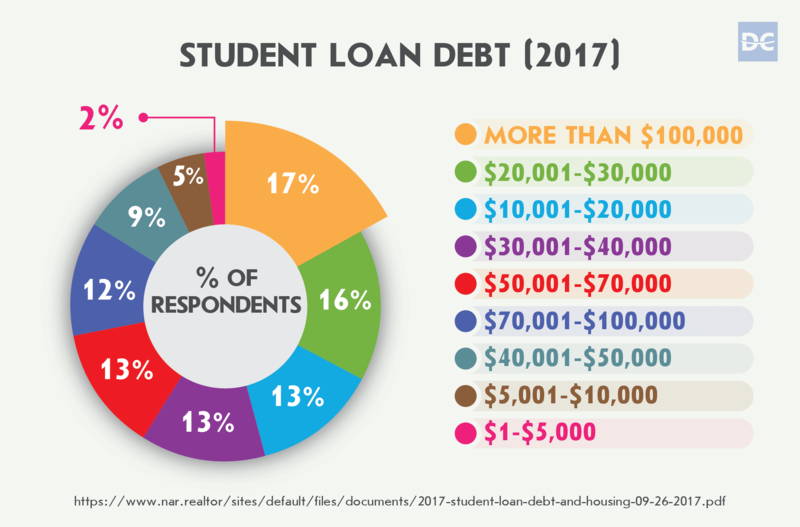 Finally, if we use the example of the four debts in the previous assessment section, you pay a minimum of $683 a month on the $26,000 total owed on all four debts. What goes out is more than what comes in. Your budget has a total income of $4,000 and total expenses of $4,133. Unexpected expenses like vet bills and car repairs aren't even included in those numbers. Now you understand how you got into debt. You also have all the information you need to budget your way out of it with a debt repayment plan. As long as your debt isn't crippling and your income is steady, there's a good chance you can escape it just by planning correctly. Do it yourself. You don't need loans, or counselors, or debt settlement agencies. Create a personalized plan designed to deliberately chip away at your debt as efficiently as possible. One well-known model for attacking debt is the debt snowball method. The debt snowball method involves paying off the debts with the lowest balances first and working your way up through the rest of them. Time to pull out the lists. Remember when we told you to hang on to those lists where you ranked your debts? Now is the time to pull out the one ranking them from lowest balance to highest. Make some tough choices. It's also time to look at your existing budget and ask yourself if you can redirect any money to paying off the debt each month. According to the examples we've been using, your disposable income (restaurants, alcohol, and entertainment) totaled $600 a month. It's time to tighten the belt. In order for a debt snowball repayment plan to work, you need to free up as much money as possible to put towards monthly debt payment. Cut the fun budget in half. Let's take $300 a month from the disposable income budget and put it towards paying the debts. The total debt repayment budget jumps from the minimum of $683 a month to $983. The extra $300 is your initial "debt snowball." The debt snowball method gets you debt-free in less 2.5 years. By paying the extra $300 on the smallest debt first (the $3,000 debt on the second credit card) it will be paid off in eight months. The snowball gets bigger as debts disappear. You then take what you had been paying monthly on the smallest loan, and roll it into paying off the second-smallest balance (the $5,000 credit card). It will be gone in 15 months. The third smallest debt ($8,000 car loan) will be gone in 22 months. Good-bye debt. In 29 months all your debt, including the $10,000 student loan, will have disappeared. Over that time, you'll have paid a total of $1,986.64 in interest on what was originally a $26,000 debt. Another popular model for debt repayment planning pays off the debts with the highest interest rates first. It all starts with another snowball. The avalanche method also requires you to make more than the minimum payments on your debts. The difference between the minimum payments and the budget you create is once again your "snowball." Now is the time to pull out the second-ranked list of your debts, the one ranking them from highest interest rate to lowest interest rate. The snowball grows into an avalanche as each debt is erased. By throwing the snowball at the highest-interest accounts first, they disappear first, and less interest is paid overall. Be debt-free in 29 months with lower overall interest. Using our example, the first $5,000 credit card debt (being charged a whopping 17.99% APR) would be the first debt to get the extra $300 a month. It would get paid off in full in 11 months. The avalanche builds power. The debt with the second highest interest rate (the $3,000 credit card at 15.99% APR) would then get the entire budget previously spent on it and the first debt. It would only take an extra four months to pay that one off. Next would come the $10,000 student loan being charged 4% interest. It would be paid off 25 months after the plan began. Same amount of time as the snowball model. Finally, the entire $983 a month would go towards what's left on the $8,000 car loan (3.5% APR). It would be wiped out in 29 months (exactly the same amount of total time as the snowball method). Take yourself out to dinner with the interest saved. The total interest you'd pay with the avalanche method would be $1,933.42, a cool $53.22 less than the snowball method. Both of the structured debt repayment plans we outlined above are fantastic solutions. That is, as long as you have enough disposable income to redirect towards paying off your debt. Call if you're just treading water. If a person finds they can barely muster the minimum payments every month and no end of debt is in sight, it's a good idea to contact a credit counselor. Credit counseling is usually a non-profit service. A credit counselor can do a couple of things. Support for changing behaviors. No plan for getting out of debt is effective unless it addresses what caused the debt in the first place. A credit counselor can help you change your habits, so you can make the changes you need to get out of debt and stay there. They can help you with budgeting and train you to use credit wisely. 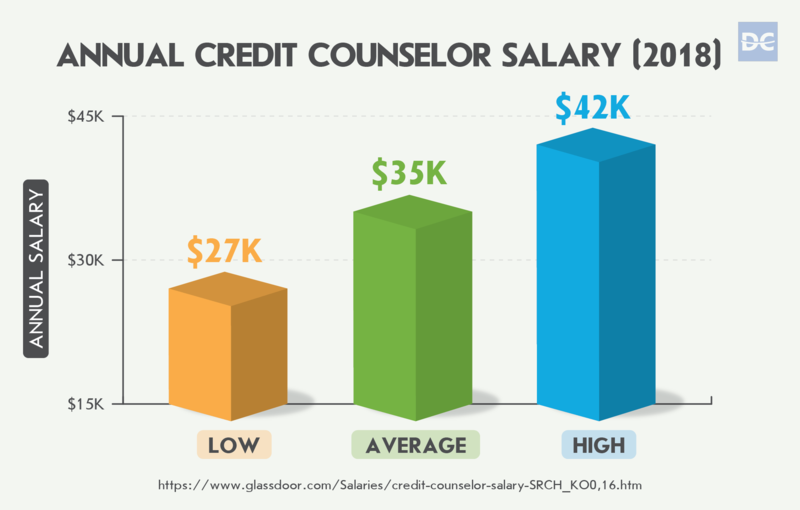 A credit counselor's role includes teaching you about finances including credit and debt. Reduce interest, payments, and fees with a Debt Management Plan. The other important function a credit counselor does is to create a debt management plan. Going to bat for people in debt. The credit counselor will reach out to your creditors on your behalf. They will negotiate lower interest rates, lower monthly payments, and waived late fees. Working together to make a plan. Credit counselors then work with clients to create a formal Debt Management Plan. Income-based repayment. They agree upon a single affordable monthly payment based on income. The debtor will send the monthly payment to the credit counseling agency each month. The counseling agency pays off the creditors at the reduced negotiated rates. A person comes to a credit counseling agency with $40,000 a year in income and a combined debt of $25,000 in credit cards, loans, and medical bills. The average interest rate being charged is 12.99%. Impossible monthly minimum payments. The minimum monthly payments are a knee-buckling $750. Cut the interest. The credit counselor contacts the creditors and negotiates the interest rate down to 7.99%. Slash the monthly payment. Based on their $40,000 annual income, with an income-based repayment plan, the monthly payment the client pays through the credit agency is $400. At the original rates and payment schedule, it would have taken 43 months (3.5 years) to pay the entire debt off. $6,108.23 would have been paid in total interest. The only problem was, the $750-a-month payback schedule was unaffordable with a salary of $40,000 a year. Longer repayment period doesn't cost much more. With the new rates and payments negotiated by the credit counselor, the debtor will take much longer — 82 months, or just under 7 years — to pay off the debt. The interest paid over the 82 months will total $7,332.50. More time, less interest, and more affordable payments. The repayment period was almost doubled, and the difference in the amount of interest paid was only $1,224.27 more than before. Instead of trying to afford $750 a month on a salary of $40,000 a year, the monthly income-based repayment schedule was $400 a month. Debt repayment planning needs to happen as soon as you realize you will never get out of debt with your current repayment schedule. It takes some soul-searching to look honestly at your habits and expenses. Making changes to your behavior can be much more challenging than calculating the repayment plan with the lowest interest. A credit counselor can act as the final line of defense, advising you on how a debt settlement agency can provide debt relief. They can also tell you when bankruptcy makes sense. Do you have any advice or tips for debt repayment planning?